MICHIGAN CITY, Ind. 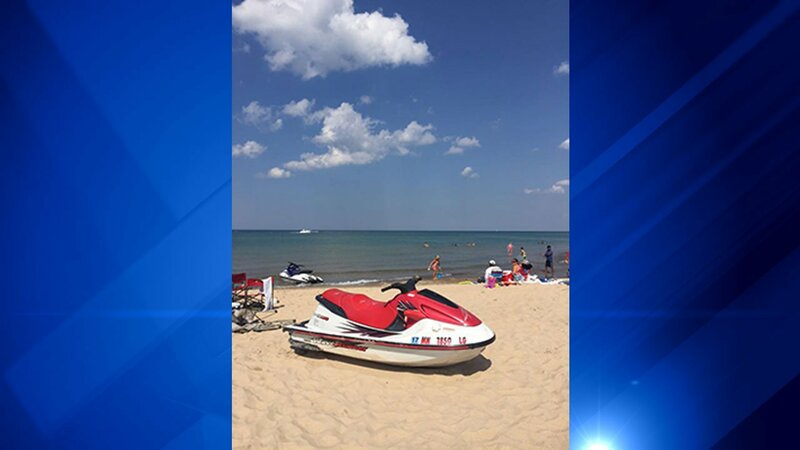 (WLS) -- A 60-year-old woman was injured on a Michigan City, Ind., beach Saturday when a 5-year-old Illinois boy crashed a Jet Ski onto the shore, officials said. Authorities said the boy was on the Jet Ski with his father. The boy's father stopped to assist another personal watercraft driver whose watercraft was malfunctioning. The boy pushed the ignition button on the Jet Ski, police said. When the Jet Ski began to move, the boy allegedly became frightened and grabbed the handlebars and throttle. Police said the Jet Ski turned back toward the beach and accelerated, causing it to crash into Charlotte Chipps, of Mishawaka, Ind. Chipps had been sitting approximately 30 feet from the shore, police said. Authorities said Chipps sustained a severe foot injury and was transported to a Michigan City hospital.